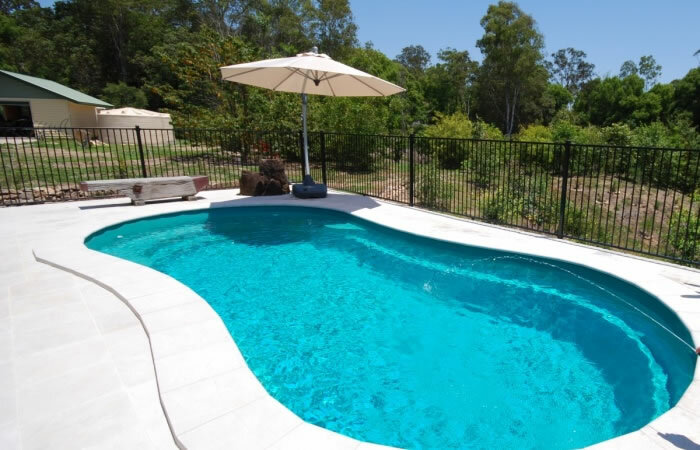 The Indulgence pool is a cleverly designed free form smaller size pool ideal for backyards where space is at a premium. This in-ground pool design is real value for money and features a generous seating area, two step entries and safety ledge. Our impressive range of shimmer and royal gelcoat colours bring this swimming pool alive matched with creative landscaping providing a back drop you can really “indulge” yourself in. Being only 1.5 metres deep, the Indulgence is the perfect free flowing plunge pool and an attractive focal point in any back yard. 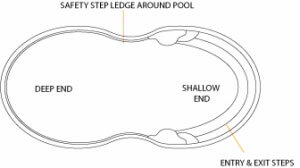 As with all our in-ground pool designs safety is paramount, with non-slip steps and a safety ledge, junior swimmers are able to exit anywhere around the outside perimeter of the swimming pool.